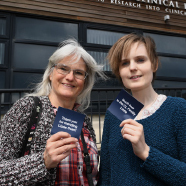 In 2017, Cure Leukaemia raised an additional £1m to help fund the expansion of the Centre for Clinical Haematology at the Queen Elizabeth Hospital in Birmingham. To celebrate the new Centre we are installing the ‘Cure Leukaemia Family Wall’ at the Centre with 1000 spaces for ‘Donate Your Name’ plaques. Monies raised from this wall will fund a Cure Leukaemia specialist research nurse for one year. You have the opportunity to donate your name, the name of a loved one, your family name or even a thank you to a nurse or doctor for up to 3 years and your message will be inscribed on a plaque before being installed in the Cure Leukaemia Family Wall. *Either pay in full, or make one £50 donation followed by 2 annual £50 donations at a total cost of £150. 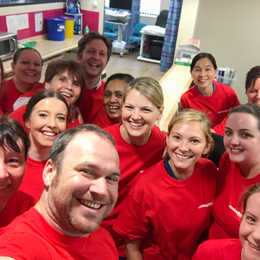 This is a wonderful opportunity for everyone associated with Cure Leukaemia to be a part of the Centre for Clinical Haematology and, at the same time, allow one of our specialist research nurses to continue giving blood cancer patients access to potentially life-saving treatments for the disease. 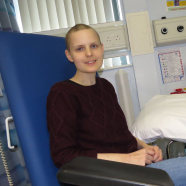 To read more about the role of a Cure Leukaemia specialist research nurse click HERE. For full terms and conditions please click HERE otherwise fill out the form below, make your donation and we will be in touch in due course regarding an installation date for your plaque. If you have any questions please email [email protected]ia.co.uk. Please make sure you fill in the form below correctly and in full otherwise your donation will not go through. Only text entered in the 'Name/Message on Plaque' box will be included on the final plaque. *Max 34 characters. Only text entered in this box will appear on the plaque. I am happy for my donated message to be used by Cure Leukaemia to promote further donations to this campaign through advertising and marketing materials. *If you have donated through other methods please input the code supplied by the Cure Leukaemia team here. Note: you still need to fill in the required fields in the form above (apart from payment details) for the donation to be processed properly.